Few things satisfy the soul more than biting into a hot piece of fried fish. 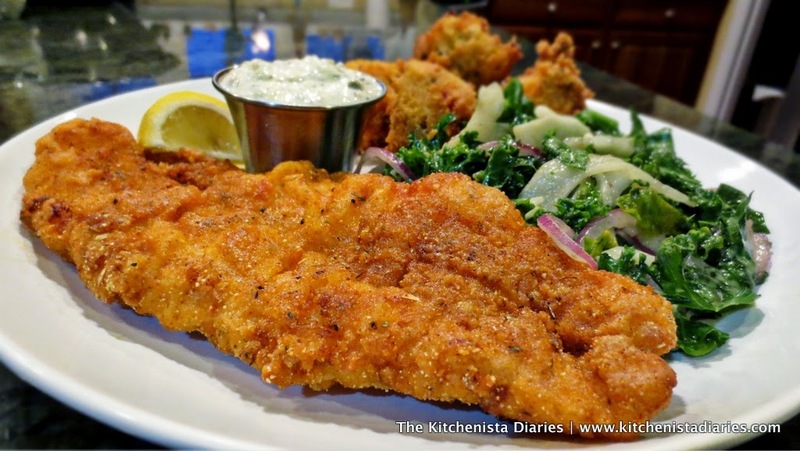 When done right, a golden cornmeal coating acts as a crispy cocoon to a moist, flaky fillet. 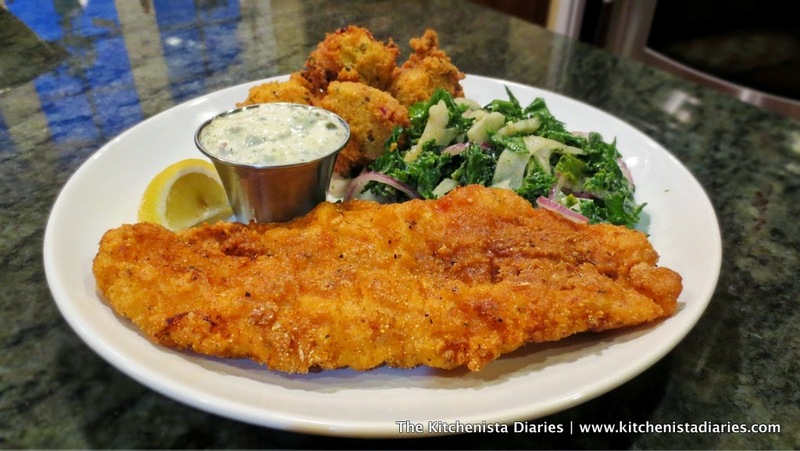 At it's best, southern fried fish is neither greasy nor overly seasoned, and simply dipped in tartar sauce or doused with hot sauce. Save the cornmeal, it is prepared much like fried chicken but without the complications of day long brines or breaking down whole birds. If you grew up in the south, your memories of fish fries are probably vivid. They may be in your grandmother's kitchen or church basement, the scent of peanut oil lingering in the air. I often think of my dad and uncles huddled around a backyard fish fryer with beers in hand, boisterous laughter occasionally erupting from the inevitable trash talking that occurs when men convene. Every so often my dad would call me over as a batch of fish was ready. If I was lucky, he'd offer me a piece of fish right out of the fryer. He'd send me back inside with a generous pile of catfish or whiting to be brought to the table and a reminder that we've gotta eat it while it's hot. Much like barbecues, backyard fish fries were pretty casual. The fish was fried up and accompanied whatever else was being served at the gathering, whether it be meat from the grill along with side dishes like potato salad, greens, mac & cheese and other typical southern offerings. Now when it comes to the "quintessential" plate of fried fish, hush puppies and cole slaw, I'm more often reminded of sit down restaurants. My favorite place to go as a kid was Chesapeake Bay Seafood House, which closed years ago to my knowledge. We most often went there for a treat on Fridays during Lent, otherwise known as the original #MeatlessMonday. They had an all-you-can-eat fried seafood menu, much to my delight as a chubby child. I usually got the fried shrimp or fried clams, sometimes the cod. Dinner plates always came with coleslaw, tartar sauce, french fries and a bowl of hush puppies. Oh, the hush puppies! They were served with butter for dipping (yes, butter...wipe that judgmental look off your face.) If you've never had hush puppies, they're essentially balls of cornmeal batter, fried until deep golden brown. Some people prefer a pretty plain batter, and those are great, but I also like them seasoned with onions and peppers for a bit more flavor and texture. I've had varied success recreating my childhood memories of hush puppies at home, often resulting in something bland or tough. I've even resorted to trying a bag of hush puppy mix, with disappointing results. Until this week it had been a couple years since I bothered to attempt them, resigning to admit that they are just better at restaurants. As luck would have it, I had a fierce craving for fish and hush puppies the other night, so I decided to give things another try. Surprise! They were awesome. Between all the practice I've had making cornbread, learning better techniques for frying, and being introduced to White Lily Flour, making hush puppies this go around was almost instinctual. The hush puppies were the perfect accompaniment to my southern fried fish dinner. Don't you just love those moments in the kitchen when everything comes together perfectly? I went the traditional route of serving fried fish with homemade tartar sauce and hush puppies, but ditched the fries. 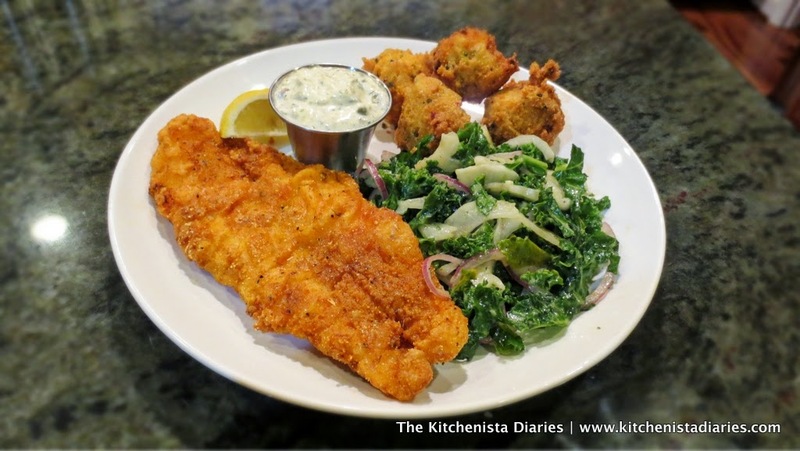 As everything is open to personal interpretation, I also opted to use Swai fillets instead of catfish and swapped out the coleslaw for my Kale & Fennel Slaw. Instead of using a cast iron skillet or wok for frying as I did in the past, I utilized a large Dutch oven pot this time. I found that it was much less of a mess to clean up and I think the oil retained its heat better. 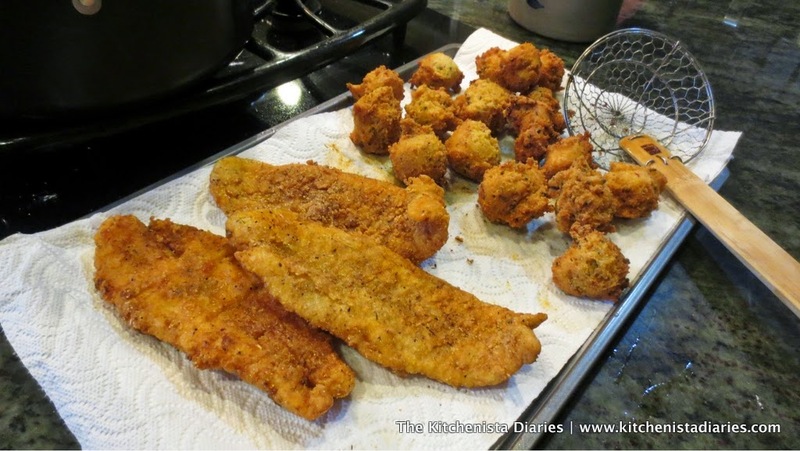 For prep work, I got everything ready before I began frying the fish, however I waited until the last minute to mix the hush puppy batter. The result of all these tweaks was a plate that satisfied my southern craving, but was reasonable enough for a weeknight dinner and came with a little less guilt! 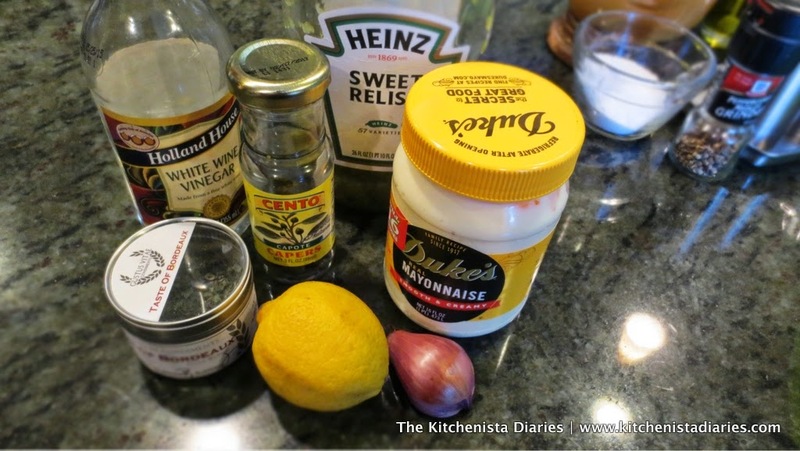 To prepare the tartar sauce, combine all ingredients and chill until serving time. Make sure you chop the capers up before adding them to the sauce. Instead of trying to mince the shallot into tiny pieces, I prefer to just grate it on a microplane. It turns into more of a puree which is easier to mix into sauces. I don't use tarragon or dill often enough to buy it fresh, so this is one of the rare times I prefer the dried stuff. Lately I'm raving about Gustus Vitae's Taste of Bordeaux blend, which has chives, dill, chervil, and tarragon in it, among other herbs. Even though the herbs are dried they taste super fresh and still have a bright green color. It's fabulous on baked fish and also in eggs! 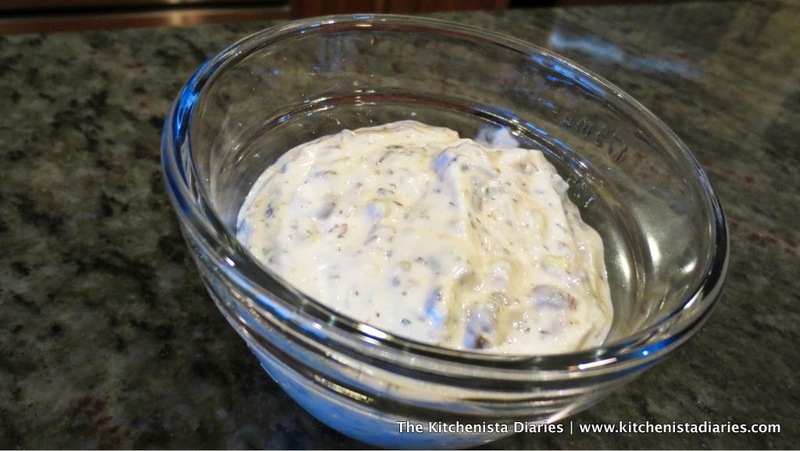 My recipe makes approximately 3/4 cup tartar sauce, which is just about what we use for one dinner. Any leftovers can be stored for several weeks in the fridge if kept in a tightly sealed container. If you eat seafood often, go ahead and double the recipe so you have it ready to go next time! 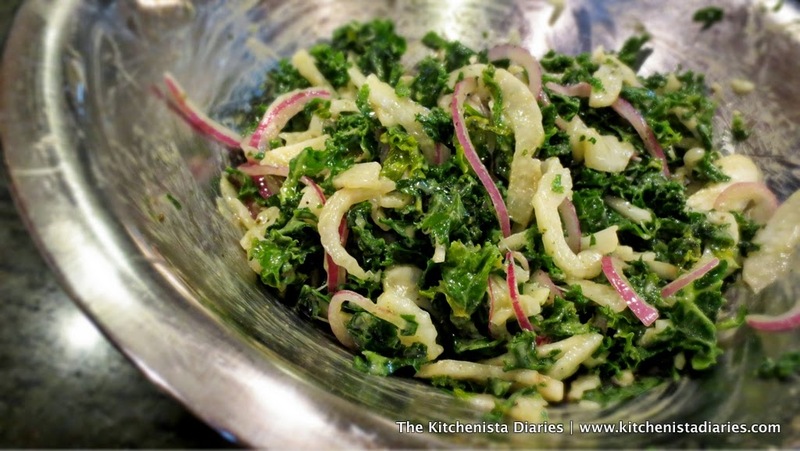 I prepped my kale, fennel, and onions the day before so all I had to do was toss everything with the dressing before serving. Instead of the Orange Poppyseed vinaigrette in my original recipe, I whipped up a quick creamy dressing in my food processor using an avocado, olive oil, white wine vinegar, lemon juice and parsley. It was wonderful and in my opinion much better than the typical coleslaw you get at restaurants! Tilapia used to be my "go to" mild white fish, but now I think it's Swai. The flesh is firm but flakes easily and tastes slightly sweet. Swai, a Vietnamese catfish, is not as fishy as some people find American catfish to be, though I love them both. It's just as inexpensive but the fillets are bigger, consistently better quality, and it's just a more versatile fish to cook. I buy a big bag of Swai fillets and get a few meals out of it during the month. It's pretty convenient to buy the frozen bags because they come individually wrapped, so I'm able to thaw a couple at a time to make dinner for myself and Jaden. 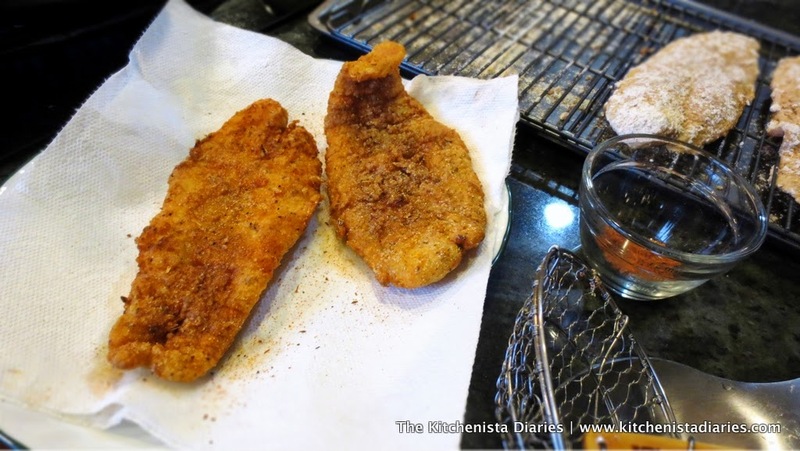 For this recipe I fried four large fillets, but there was plenty of flour & cornmeal left to dredge more fish. Make sure your fish fillets are completely thawed if you purchased them frozen. Place them in a dish and season with a few teaspoons of the cajun spices. I measured out a few tablespoons of my Cajun spice blend mixed with Kosher salt into a small bowl to use throughout the cooking process - it's easier that way to take a pinch here and there instead of grabbing spice jars with messy hands. 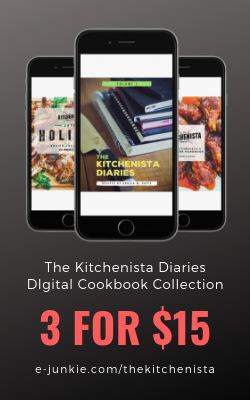 You don't need exact measurements for recipes like this anyway! 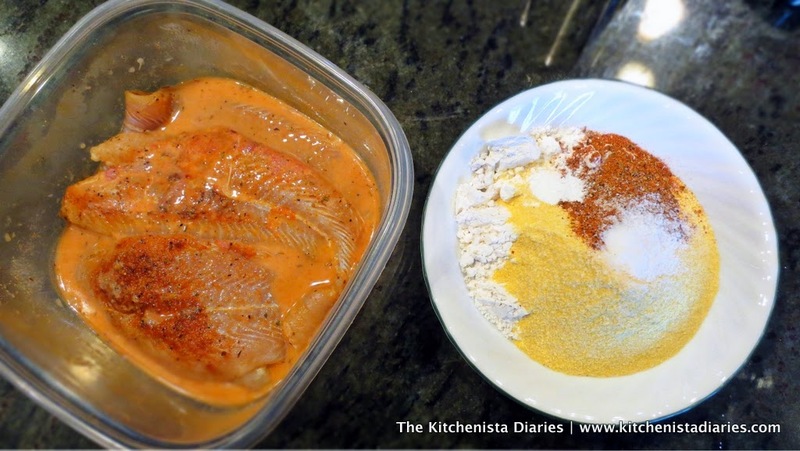 Pour the buttermilk over the seasoned fish and add some hot sauce or Sriracha. 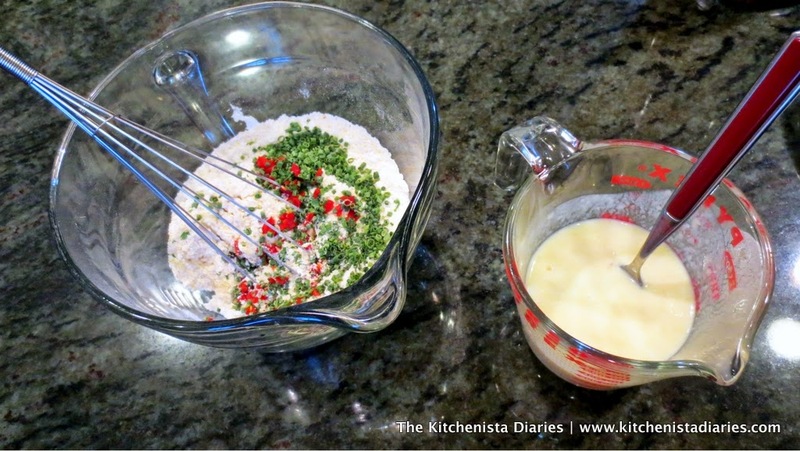 Swish the fish around a bit to incorporate the spices and hot sauce into the buttermilk. You could refrigerate this to marinate for a bit, but it's not necessary. 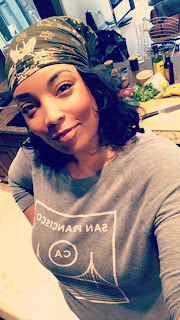 Some people like to soak catfish in buttermilk or milk to mellow out the fishy flavor, but you don't really need to marinate Swai in my opinion. In a separate shallow dish, whisk together the flour, cornmeal, baking powder, salt, and about a tablespoon of Cajun spice blend. As similarily discussed in my buttermilk biscuit tutorial, White Lily Flour will make for a lighter, crispier crust on the fish. If it's not available to you then cake flour is the closest substitution here. I also prefer to use regular fine yellow cornmeal and not the stone ground kind that I would for making cornbread. 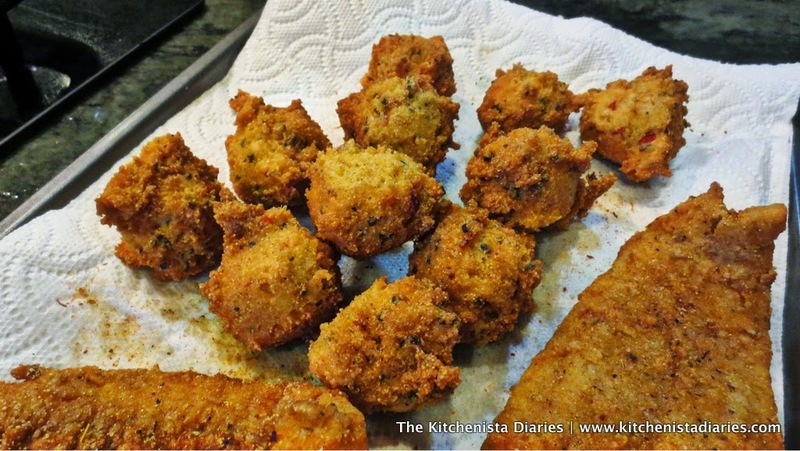 Take one fillet a time and shake off the excess buttermilk, then press it into the cornmeal & flour mixture. Flip it over and get the other side coated well, then transfer to a baking rack positioned over a cooking sheet. 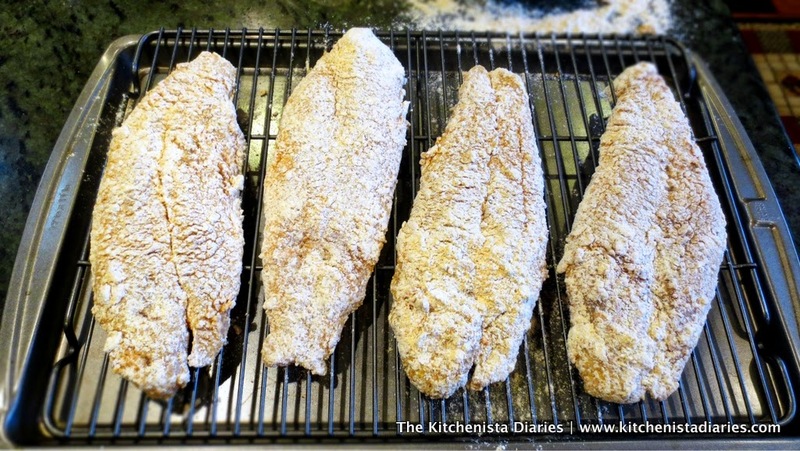 Let the dredged fillets sit for a few minutes while you get the oil hot. This helps the coating to adhere better. 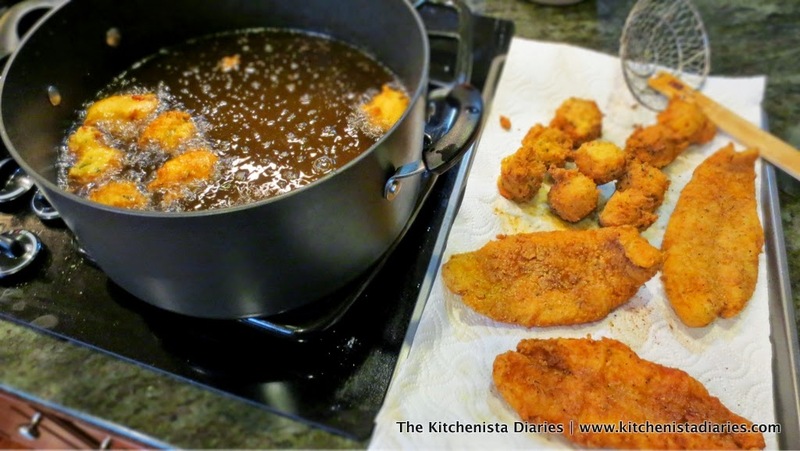 You'll want about 3" to 4" of peanut oil in the pot to give the fish enough room to be fully submerged. Heat the oil over medium high heat until it reaches about 375° F, but no higher. A deep fry or candy thermometer is the easiest way to monitor the temperature of the oil as it can be clipped to the side of the pot. You'll want to maintain the oil temperature between 350° F and 375° F while frying the fish and hush puppies for best results. The temperature will drop slightly after adding fish to the pot, so between batches make sure you let the oil come back up to temperature before adding more fish. Don't crowd the pot as this also drops the temperature - the fish should be able to freely float about. 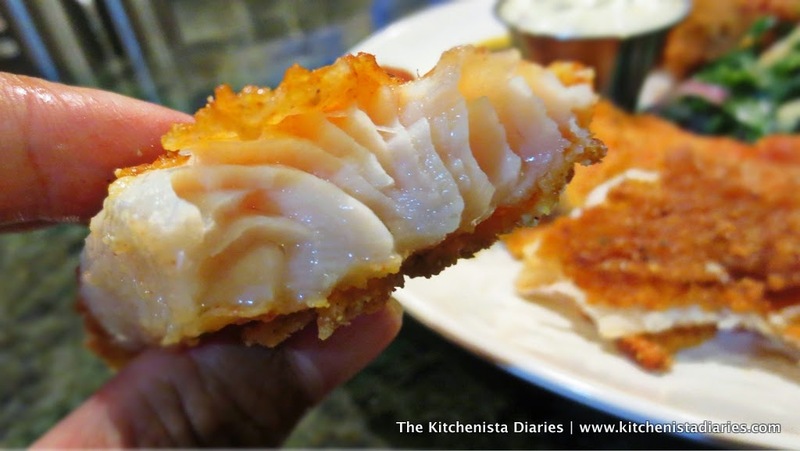 I dropped in two fillets at a time, then fried the next two as another batch. 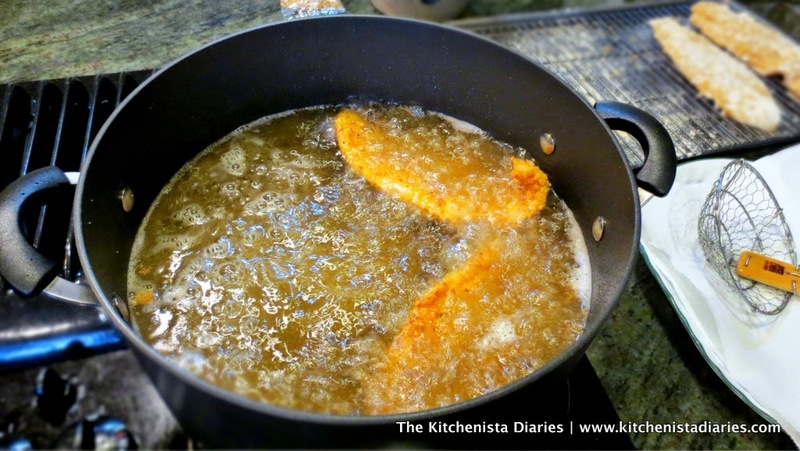 Fry the fillets for about 3 to 4 minutes or until golden brown and firm to the touch. 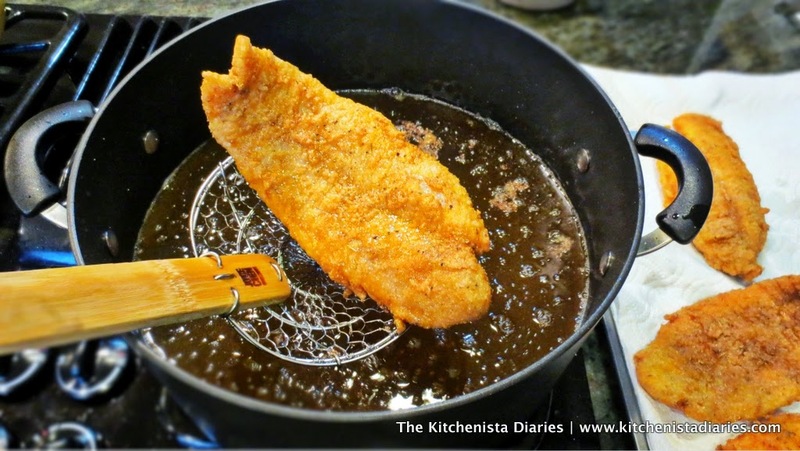 Remember, in a deep fry the fish is fully submerged so both sides are cooking at the same time. Don't overcook your fish! By the way, a wire mesh spider strainer is a great tool for removing fried foods out of the pot. 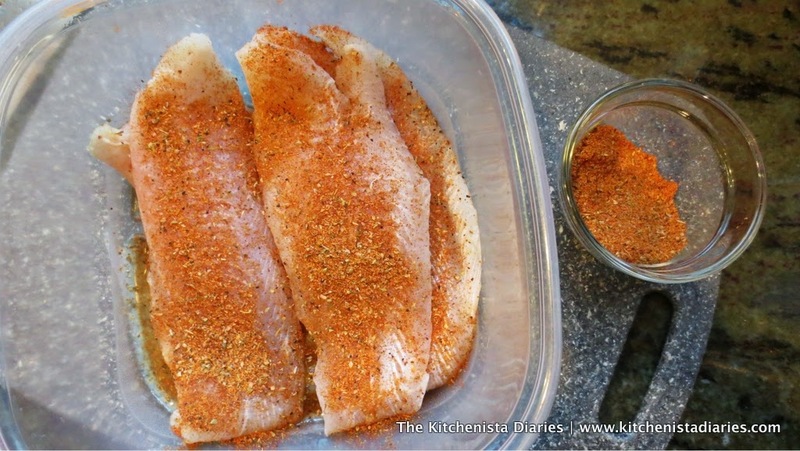 Transfer cooked fish to a paper towel lined baking sheet to drain and season with a dusting of cajun spice while it's hot. Continue frying the remaining batches of fish, being sure to allow the oil temperature to heat back up in between batches. The hush puppy batter is best prepared right before frying so that the baking powder is active. Combine the dry ingredients, chopped pepper and chives in one bowl. 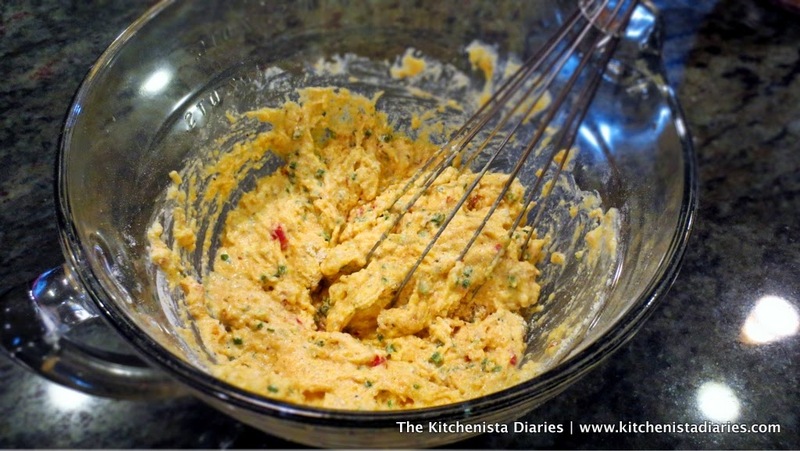 In a separate bowl, whisk together the egg, buttermilk, grated shallot and melted butter. Pour the wet ingredients into the dry ingredients and whisk a few times to incorporate the flour. It's important not to over mix your batter for tender hush puppies. The batter will be thick and slightly lumpy, like cornbread batter. Drop batter by the tablespoonful into the hot peanut oil. I do a two-spoon maneuver to shape my hush puppies. Use one spoon to scoop up the batter and another spoon from the opposite direction to scrape the batter into the oil, forming a ball. 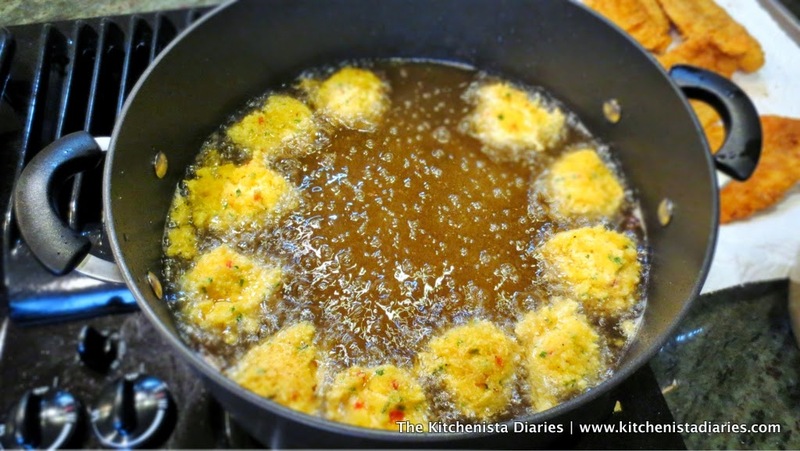 You should be able to fry about 10 hush puppies comfortably in a large pot; they'll float around a bit as they fry. I fried them in two batches. Fry the hush puppies until you see them turn a deep golden brown color, which should take just a few minutes. If they don't turn over on their own, you'll need to flip them halfway through cooking. Remove from the pot and drain on paper towels. Hit them with a little cajun spice. By now I hope you have your plates ready, because it's time to grub! 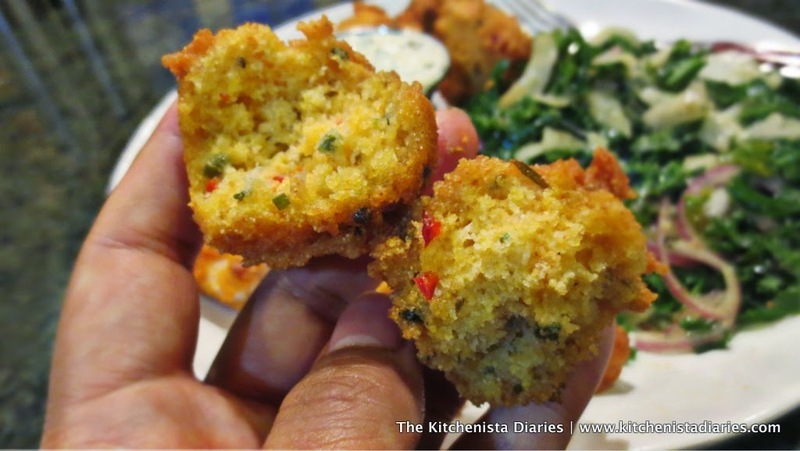 The hush puppies were light, tender and speckled with bits of hot peppers and chives inside. So good. I'm really happy I finally got this down! Do you see how nice and flaky the Swai gets? It's fantastic and so easy to cook. Mmm...that first bite of hot fish is the best! Don't forget to serve with a lemon wedge for squeezing over the fish. That always completes the seafood restaurant feel of the plate for me! Yum...I do believe this meal was even better than what I remember as a kid!